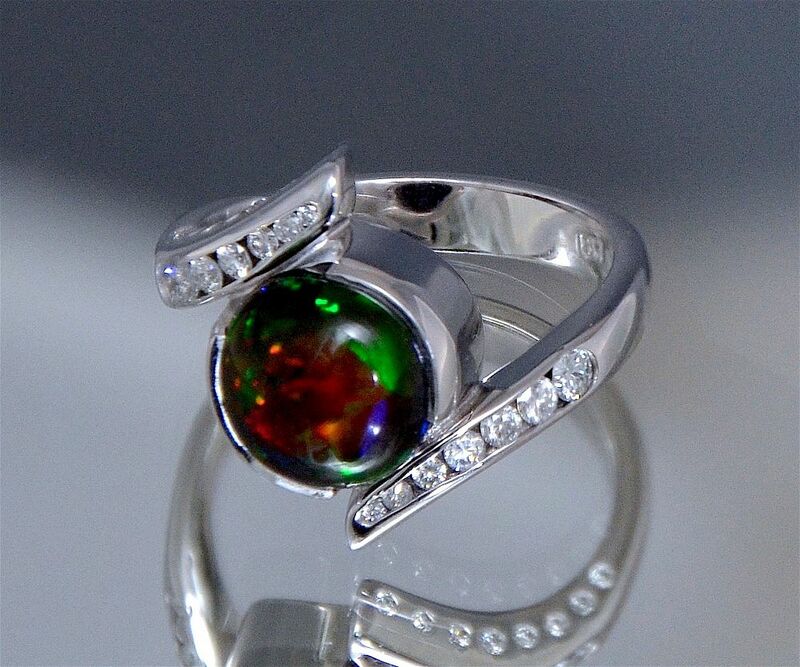 The 18ct white gold crossover ring has a beautiful round black opal in a white metal double horseshoe setting between the tapering crossover shoulders. The shoulders are diamond set, there being 7 round diamonds in each shoulder and the outer sides of each shoulder are set with 8 round diamonds. The shank is stamped "18ct" and has a mark that looks like a diamond and another mark that looks like a lion rampant in a rectangular cartouche. This ring has to be worn to be fully appreciated.